Albert Einstein Hawking Chaudhury’s dad was thirty nine years old when he died for the first time and twelve when he died for the second time. The former happened due to a dislodged piece of metal that caused brain haemorrhage, a leftover from of an accident he had when he was a kid. The latter is the result of what sets Time Traveling with a Hamster in motion. Al’s dad died suddenly when Al was eight years old. When Al turns twelve he receives a mind-blowing present: a letter from his dead father that contains mysterious instructions that Al must choose whether he wishes to follow or not. If he does so, his father’s letter tells him, he will learn everything about time travel just in time to go back to when his father was twelve and prevent his accident from happening, therefore changing his present. 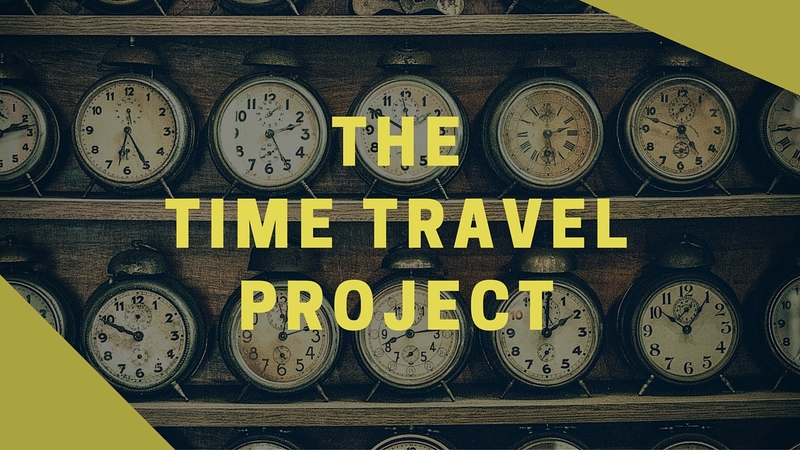 Al’s father’s life is thus, literally in Al’s hands as, due to the rules of time traveling, a person cannot be in the same timeline twice. So Al is the only person who can travel back in time and save his father. And we know this doesn’t go well – for when Al fails to save his father, he alters the space-time continuum, changing everything. And then he needs to find a way to set things right. Time Traveling with a Hamster is a strange creature. The central relationship in the book came as a nice surprise: it’s not Al and his father or Al and his hamster. It’s Al and his granddad Byron’s and their relationship is sweet and informs most of Al’s actions. His granddad is the true father figure in the novel. I also loved that Al is Anglo-Indian and that his grandad shares his experiences as an immigrant. Looking at the title and the cover copy though, I was expecting a light, entertaining romp with a kid and his pet hamster. Of the pet hamster, Alan Shearer, there is very little, his presence is inconsequential, almost an after-thought. And even though there are moments of light and fun (hey, time traveling shenanigans are always fun), this book turned out to be darker and more thoughtful than I was expecting. This is not a bad thing per se but the problem with this is that the narrative voice doesn’t quite decide if it wants to sound very young or much older. Think on this: Al is trusted with a mission that decides the fate of his own father. If you think this is a lot of pressure to put on a 12-year-old kid, bingo. But which kid, given the chance to save his own father’s life, would say no? The problem here is that we see very little on-page relationship between Al and his dad. The first part of the book is all dedicated to Al and his grandad, who by the way, doesn’t even sound like he liked his son very much. Actually, his mom doesn’t seem to have liked his father all that much either. So as a reader, it’s hard to be invested in this mission. As an outsider looking in, I detested Al’s father and wished he had remained dead for the things he put his kid through, and for the horribly condescending, self-serving letters he sent. On the other hand, which person would not try to save their own lives if they knew a way? This is why I call this book a strange creature. Because the focus here seems to be placed so much on the adults, and a lot of the story asks us to sympathise more with them rather than with the actual kid that is the main character. When Al comes back to a different future after things go horribly wrong in the past (and horribly wrong is a mild way of putting it), it’s his granddad that is changed the most. We get a much richer, deeper description of his granddad’s pain than Al’s, whose life has been altered significantly as well – he is not even supposed to be alive (actually, good question: how is he even alive if his father never met his mother. Time traveling paradox!). 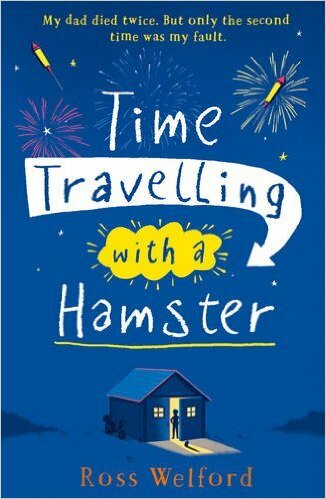 Given all this, in fact, when reading Time Traveling with a Hamster, I often wondered if the book was even written as a kids’ book in the first place because it straddles a line between kidlit and adult fiction crossing over and back multiple times. One thing I liked very much is how Al asks himself about the “other Als”. Do you remember how Marty McFly goes back to the future at the end of Back to the Future to find his family completely altered? What happens to the Marty McFly that that version of his family knew? His family has memories of that Marty and his childhood and this new Marty has none of those memories. So it’s a little bittersweet to think about that and Time Traveling with a Hamster is affecting in that same way. So: A strange creature. I liked it – but probably not as much as I had hoped and not in the way I had expected. i think its an interesting perspective on such a boring book , how did you come up with all of this from just a meer kid going back in time ? ?